Wagtail UK are international specialists in detection dogs and dog handler training. 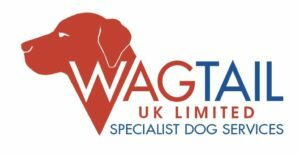 Established in 2003, Wagtail UK Ltd provides detection dogs and related services for government agencies such as UK Border Force, HM Revenue & Customs, police, Trading Standards and Armed Forces. Wagtail is contracted by the UK Border Force to provide ‘Body Detection Dogs’ (for illegal immigrants) in northern France 24/7, 365 days a year. Its sister company ‘Conservation Dogs’ is an innovative pioneering company providing a centre for training of specialist detection dogs, for both Wildlife Crime Detection and Wildlife Conservation. An international, multi-award winning company, Wagtail dogs can detect firearms, explosives, drugs, cash, tobacco and products of animal origin including ivory, pangolin scale, bush meat, leopard skin, ‘live’ animals, bats and great crested newts.The Wagtail International School of Excellence (WISE) is an international training school, providing specialist dog training courses for government agencies and private clients.